People in developing countries are getting richer - and tucking into more processed food. They must be stopped, apparently. 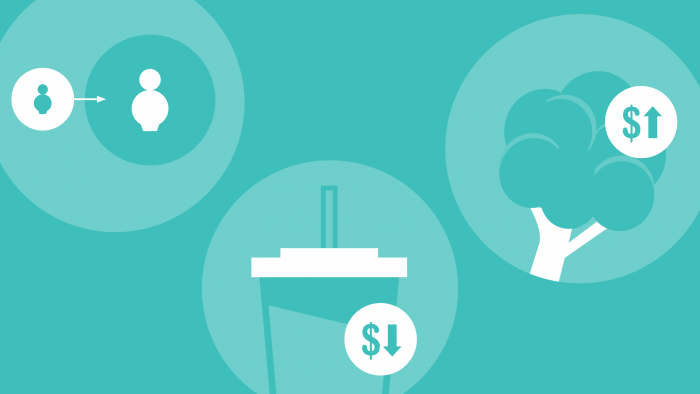 In a widely reported study released this week, the Overseas Development Institute suggests that ‘healthy food’ has become more expensive over the past 20 years, particularly in developing countries, while ‘junk food’ has fallen in price, in real terms. Assuming that people respond to price signals, this would suggest that consumption of ‘unhealthy’ food increases relative to the consumption of fruits and vegetables – and that does appear to be what has happened. Since obesity rates in developing countries have been rising rapidly towards the levels seen in developed countries – and, in the case of Mexico, rising above even the obesity levels seen in the US – it seems reasonable to suggest that the two might be connected. However, while the relative prices of these different foods may have changed, does that mean that processed food is actually cheaper than unprocessed food? That seems unlikely, especially when the usual suspects for rising obesity rates – big food companies – routinely charge a substantial premium for buying their branded goods. It is more likely that, as living standards have risen in the developing world, people there are choosing foods that are convenient and tasty – or ‘hyper-palatable’, as the ODI ominously puts it – over traditional, home-cooked fare. Moreover, some of the rise in ‘healthy food’ prices may be due to people buying fruits and vegetables pre-prepared rather than in their usually unprocessed state. Nor should we assume that diet is the only factor in rising obesity rates. For example, everyday life is getting easier for people around the world, with less manual labour and more car ownership, for example. Trying to explain changing obesity rates purely in terms of this shift from unprocessed to processed food, and assuming that the latter automatically increases the propensity to gain weight, seems simplistic. Nonetheless, Something Must Be Done – and the ODI’s answer is for more countries to slap a special tax on soft drinks and snack foods, as Mexico did in January 2014. The result? Pepsi reported last October that sales in Mexico were down a staggering, er, three per cent. Given that much of this sales fall could be due to people switching to cheaper brands or buying different product sizes, it doesn’t mean that consumption of convenience foods has declined sharply, and hardly suggests a mammoth impact on waistlines. But the relatively feeble impacts of such measures, combined with the significant costs to ordinary people’s incomes, has never stopped public-health campaigners from demanding them.